The Pepsi plant on Roosevelt Boulevard in Philadelphia. 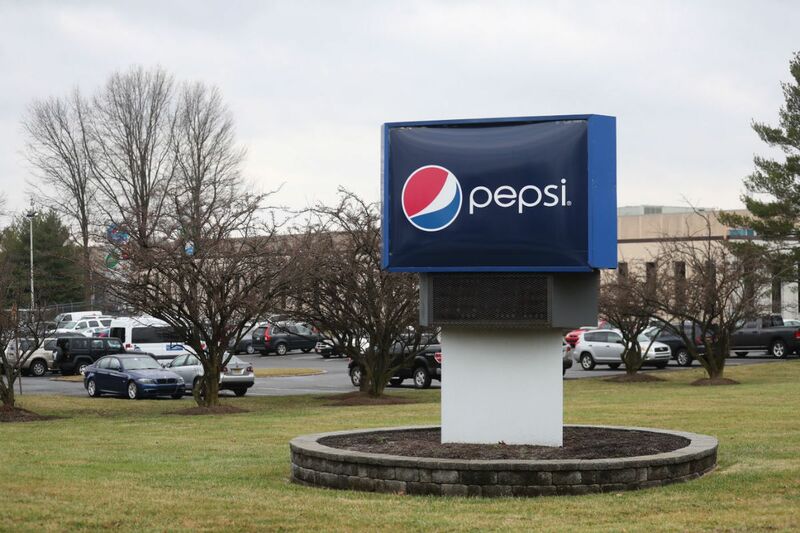 With sales slumping because of the new Philadelphia sweetened beverage tax, Pepsi said Wednesday that it will lay off 80 to 100 workers at three distribution plants that serve the city. The company, which employs 423 people in the city, sent out notices Wednesday and said the layoffs would be spread over the next few months. The layoffs come in response to the beverage tax, which has cut sales by 40 percent in the city, PepsiCo Inc. spokesman Dave DeCecco said. "Unfortunately, after careful consideration of the economic realities created by the recently enacted beverage tax, we have been forced to give notice that we intend to eliminate 80 to 100 positions, including frontline and supervisory roles," DeCecco said. The Kenney administration lambasted the news, pointing to Pepsi's overall profits and the benefits of the expanded pre-K program that the 1.5-cent-per-ounce tax funds. As of this week, the program has created 251 jobs in the city, mostly full-time pre-K teaching positions, the city said. "The soda industry sunk to a new low today," city spokeswoman Lauren Hitt said. "They are literally holding hostage the jobs of hard-working people in their battle to overturn the tax. Pepsi reported nearly $35 billion in gross income and $6 billion in profit last year.... The idea that they can afford to do that but 'must lay off workers' should make every Philadelphian very skeptical of whether these layoffs are actually due to the tax." The layoffs will occur at plants in North Philadelphia, South Philadelphia, and Wilmington. The plants are run as independent businesses required to report profits and losses to the company. Outside of the North Philadelphia plant Wednesday, Ed Langdon, a 40-year employee who shuttles products between warehouses, said the cuts are the most drastic he's seen in his time at Pepsi. Langdon, whose job is safe, said workers have been told the plant will decrease production of jugs of iced tea and canned soda. "It's managers, it's drivers, it's people who go out and put the soda on the shelf. It's all across the board. It's everybody. I was sick last night when I heard," Langdon said. Langdon said the writing was on the wall: Some colleagues who are paid on commission were seeing drastic cuts in weekly pay. "The trucks are going out and they're coming back with the soda on it," he said. "No one's buying it. It's just not happening." Minutes after news of layoffs broke, the city sent out a release announcing that its pre-K program has created 191 teaching positions and 60 support-staff jobs. The average pay for the positions, more than half of which are full time, is $14.72 an hour. The layoff announcement follows reports from bottlers and supermarkets of steep beverage sale declines since the tax went into effect in January. Last month, Canada Dry Delaware Valley said it would lay off 35 people due to declining sales. Jeff Brown, who owns six ShopRite stores in the city, said he's had to slash employee hours and believes as many as 300 jobs could be cut. DeCecco said the Pepsi jobs would be restored if the tax — currently under appeal and awaiting an April hearing — is struck down in court. The city has pointed to higher-than-expected revenue numbers in the first month of collection, and restaurants who report being largely unaffected by the tax, to argue the industry could be exaggerating sales declines in an attempt to prevent the enactment of similar taxes in other cities or to gain a favorable outcome in court. DeCecco said there was nothing political about the layoff announcement. "This isn't something we take lightly or want to do, and we are committed to working with our employees and the union to treat impacted individuals with the care and dignity they deserve," he said. Anthony Campisi, a spokesman for a coalition of retailers, bottlers, and unions opposed to the tax, said it was unfair for the city to blame the companies for the job loss. "It's the mayor who's to blame for the economic and human impact of the tax," Campisi said. "And its offensive to blame the impact on Philadelphia businesses that are no longer sustainable because of it." Danny Grace, secretary-treasurer for Teamsters Local 830, which represents many of the employees affected, said in a statement: "Our worst fears have been realized today. ... This terrible news, although not surprising, is particularly disastrous for the members of Teamsters Local 830, who rely on a strong soda industry for their livelihoods."